Open to: Snipe skippers in good standing from anywhere in the world. Regatta Conditions: Competition annually during summer or late spring on the waters of the chosen clubs. The different series of race are to be arranged and agreed upon by officials of these clubs. “Rules for Conducting National and International Regattas” are specific instructions furnished by the International Rules Committee and approved by the SCIRA Board of Governors. These instructions must be followed in all respects. Classification: Each skipper receives the number of points corresponding to his place in each event. For the event in which he didn’t sail, he receives the number of points of a DNC in the event with the largest number of entries. The skipper with the lowest score is the winner. In case of a tie, the skipper with the lower score in the event with more entries will prevail. 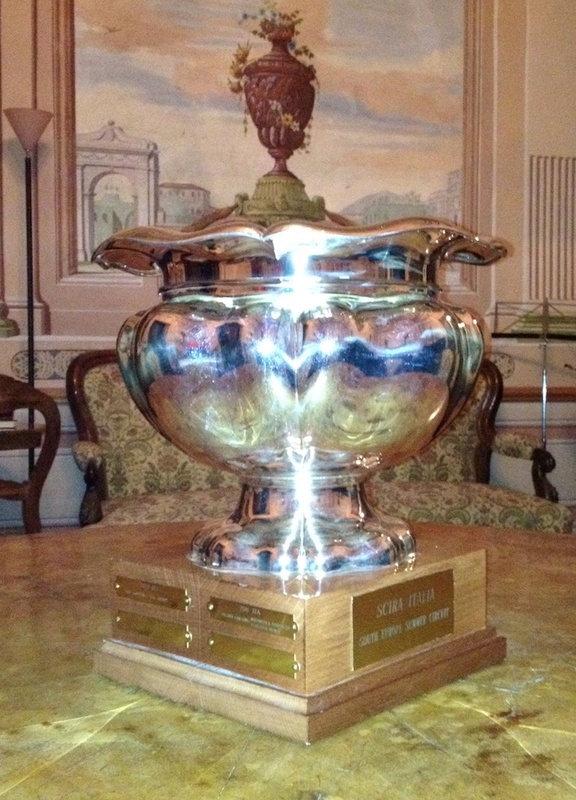 Trophy Responsibility and Conditions: Winner and/or his fleet to be responsible for engraving, care, safekeeping, necessary repairs, and return of trophy for subsequent competition to SCIRA Italy. Revision of Deed of Gift: At any time by SCIRA Italy with agreement of SCIRA.